DESCRIPTION This impeccably well maintained 5 bedroom bungalow, with over 3500 sq ft of living space, sits on a huge 59x119 ft. lot with South facing backyard on a quiet street just off a park. This fabulous bungalow in the highly desirable community of Kelvin Groove will not disappoint. The spacious living room with ample natural light is separated by the beautiful 2-sided fireplace leading to the large dining room. Exceptionally designed, this home offers a sun soaked family room with additional new stunning gas fireplace, floor to ceiling windows, and vaulted ceiling overlooking the South backyard. The spacious kitchen with newer appliances, maple cabinetry, and a large breakfast nook area with sliding glass doors, leads to the outdoor cobblestone patio and backyard making it perfect for entertaining. Three bedrooms, including the large master bedroom with ensuite overlooking the backyard, and an additional full bathroom completes the upstairs. The huge lower level offers two large bedrooms, a full bathroom, main area with fireplace and dance floor, perfect for the ballerina, and an additional enormous multipurpose room for home gym, and office or additional bedroom. Ample storage areas and laundry room complete the lower level. New roof, hardy board exterior, and soffits in 2010 and 2011. New furnace and hot water tank in 2009. 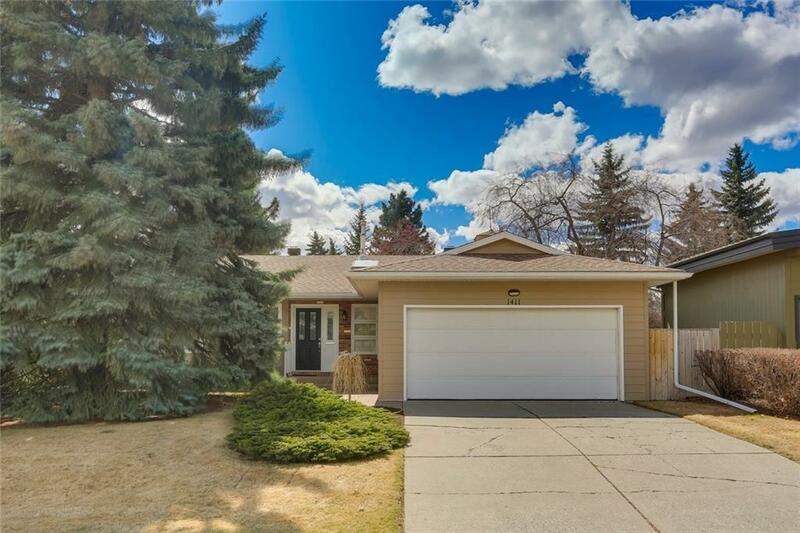 Close proximity to Glenmore Landing, Rockyview Hospital, numerous schools, and the Calgary pathway system make this home well worth your consideration.